2 Ways to Take Charge of Your Mornings | Writing & Book Coach | Marla Beck, M.F.A. 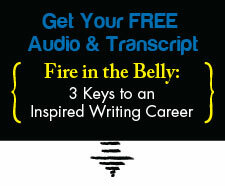 Your writing career is peppered with opportunities to take charge and get the results you want. One thing I’ve learned from coaching writers like you for the past decade is this: starting your day right is one of the fastest ways to improve your productivity and focus. Try these simple strategies one at a time, and let me know how much better you feel and write, as a result. You can find me over on Facebook or message me here.